Each week, as our regular readers know, we pose a series of questions to a winemaker. This week, we are featuring Adam Kubrock, the winemaker at Hillersden Wines in Marlborough, New Zealand. Adam hails from Walla Walla, Washington, which is of course famous for its wines. There, he began his career in the wine industry, working at Gramercy Cellars. Then Adam visited New Zealand to experience winegrowing in a cooler-climate region. Initially he thought he would stay just a few weeks, but after brief posts at other wineries, Adam settled down at Hillersden Wines. Now, Adam oversees the winemaking for Hillersden’s portfolio of wines, which includes a Pinot Gris, a Pinot Noir, a Riesling, and of course a Sauvignon Blanc. Each week, as our regular readers know, we pose a series of questions to a winemaker. 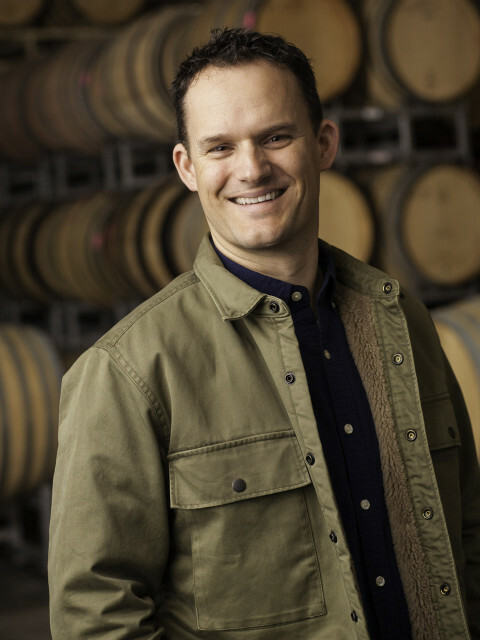 This week, we are featuring Brandon Lapides, the winemaker at Armida Winery. Brandon’s path to winemaking resembles many of our paths to wine appreciation. Growing up, Brandon saw that his grandfather collected wine — and did so seriously, buying among other things two cases of 1961 Chateau Latour — and so Brandon naturally developed an interest in wine, as he watched his grandfather open bottles at dinner. Born in Ithaca, the site of one prominent enology school, Brandon studied fementation science at another prominent enology school, UC Davis. After graduating, Brandon spent some time in New Zealand, before returning to California first and to Sonoma County in particular soon thereafter. In 2010, he joined Armida Wines. Armida Winery was founded by brothers Steve and Bruce Cousins about twenty years ago. The estate produces several bottlings of Zinfandel, Pinot Noir, and Chardonnay from purchased fruits, and also produced a field blend of Zinfandel and Petite Syrah from a seven-acre estate vineyard. Each week, as our regular readers know, we pose a series of questions to a winemaker. 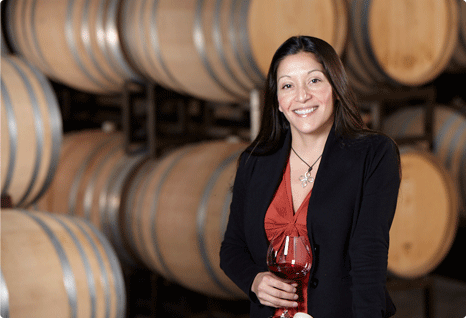 This week, we are featuring Theresa Heredia, the winemaker at Gary Farrell Winery. Gary Farrell founded the eponymous winery and debuted the label with a 1982 Pinot Noir. Since then, the winery has added more and more to its portfolio of vineyards, working with multiple viticulturalists. Theresa Heredia was studying at UC Davis in its Chemistry program when she met other graduate students in the Enology program and decided that she wanted to apply her knowledge and techniques to study wine. So she transferred programs soon thereafter and, after graduating, began working at Joseph Phelps Vineyards, and specifically helped launch the Pinot Noir bottlings of Freestone Vineyards. Theresa then joined Gary Farrell Winery in 2012, where she has been a winemaker since. Each week, as our regular readers know, we pose a series of questions to a winemaker. 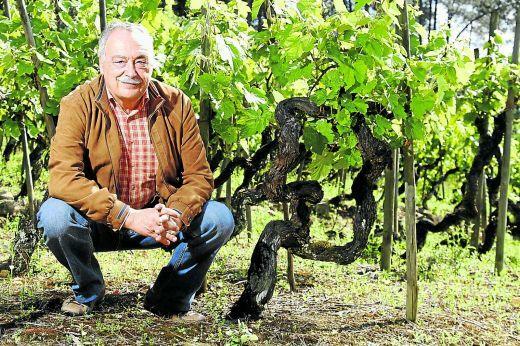 This week, we are featuring Luis Pato, the famed Portugese winemaker at the eponymous Luis Pato Winery. 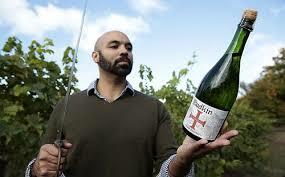 The Pato family has been making wine at Quinta do Ribeirinho since at least the eighteenth century. Luis was born and raised in Portugal, though in several different parts of the country, from Coimbra, to Alentejo, to Lison. After serving in the Navy, Luis was a teacher, until he joined the family business. As you likely know, Luis Pato’s wines have been leading the surge in interest in, and quality of, Portugese wines. Luis continues to invent and to reinvent, making his first single-vineyard sparking wine in 2008, Baga sparking wines in 2010, and so on. Each week, as our regular readers know, we pose a series of questions to a winemaker. This week, we are featuring David Edmonds, the winemaker at Nobilo Wines. David was born in New Zealand in the very year that the first Sauvignon Blanc vines were planted in Marlborough. He grew up near wine country, vacationed there, and was responsible for the household chore of storing shipped boxes of wine. Wine therefore came naturally to David as a profession. After graduating from college, he worked at Hawke’s Bay, then in California for a few years, before returning to New Zealand to join Nobilo in 2002. Nobilo Wines has been a pioneer in New Zealand winemaking since it was founded in 1943 by Nikola and Zuva Nobilo, who had fled the war in their native Croatia. Each week, as our regular readers know, we pose a series of questions to a winemaker. 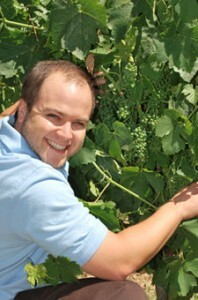 This week, we are featuring Chris Christensen, the winemaker at Bodkin Wines. 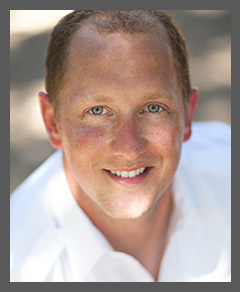 Hailing from Cedar Rapids, Iowa, Chris attended Stanford University, and it was there that Chris learned that he enjoyed wine tasting so much. So after graduating, Chris jumped into the wine industry. And he started at the very first rung of the ladder. As he moved up that ladder, however, Chris moved out to work what he calls a “real job,” quotation marks are his, at a bank. But quickly Chris figured out that corporate America was not for him, and he returned to the wine industry shortly after a year. Chris founded Bodkin Wines as a side project in 2011, and began operating it full-time in 2014. In creating his own brand, in making his own wines, and in perfecting his craft, Chris has overcome the challenges that he faces with ADD and dyslexia, which we think is amazing. Each week, as our regular readers know, we pose a series of questions to a winemaker. This week, we are featuring Landon Donley, the winemaker at Buccella, a Napa estate. Buccella was founded by two lovers of Gaja’s wines who strive to make bold, flavorful, and layered wines. Landon has seen many sides of the wine industry. He discovered his love for wine as a bartender at a resort. When he decided to study wine, he studied first for a sommelier degree and a general wine-knowledge certification, and fittingly he worked at a wine retailer and at a distributor. But then after talking to a winemaker over a bottle of wine, Landon decided to become a winemaker himself, and enrolled in the enology program at Fresno State. He arrived at Buccella in 2015, after finishing his degree, and after spending some time at Molly Dooker and at Spottswoode. Landon was also recently mentioned by a previous interviewee here, Jennifer Williams, as an exciting new winemaker. Each week, as our regular readers know, we pose a series of questions to a winemaker. This week, we are featuring Jennifer Williams, the winemaker at Arrow&Branch in Napa. Jennifer began her career in the wine industry in the vineyards, and even as a winemaker, her focus on the grapes shines through in the interview. She arrived at Arrow&Branch in 2011, after helping out with harvest at Araujo and Spottswoode, and rising through the ranks at Spottswoode to become its winemaker. 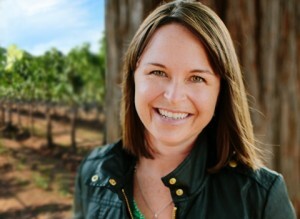 In 2007, Jon Bonne of the San Francisco Chronicle named Jennifer a “Winemaker to Watch”. Arrow&Branch is now owned by Steve an Seanne Contursi, who purchased the estate in 2007. The couple share a love for the wines of Bordeaux, particularly those with a healthy dose of Cabernet Franc. Each week, as our regular readers know, we pose a series of questions to a winemaker. 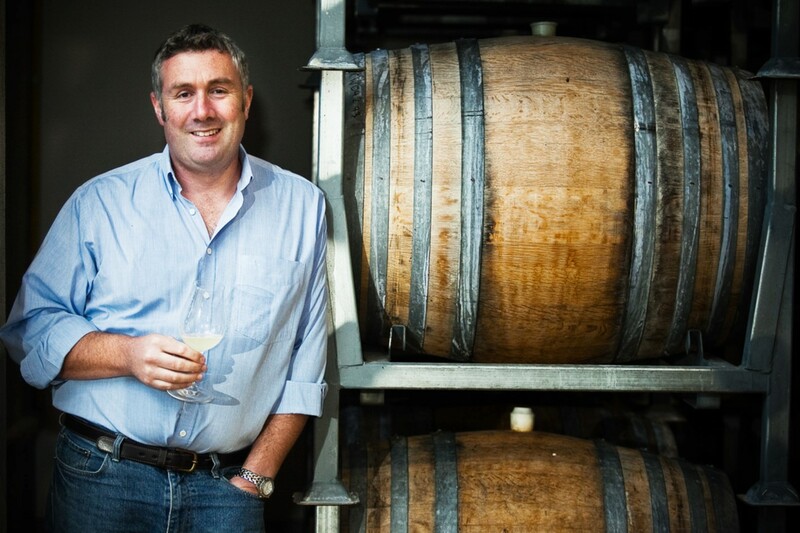 This week, we are featuring Ryan Prichard, the associate winemaker at Three Sticks Wines. While Ryan was enamoured of wine for quite some time, it was not until recently that he joined the wine industry. Ryan took the famous wine class at Cornell, where he had his wine-”Aha” moment, as he describes. Ryan then started work as a management consultant, but he could not part ways with wine. He would volunteer at local wineries and make his own wines, and even decided to take a winemaking program at UC Davis – all while maintaining his full-time job. When Ryan finally decided to make the jump into winemaking, he started with an internship at Williams Selyem. He then ran the cellars at a custom crush winery, before spending some time at Medlock Ames in Alexander Valley, and finally landing at Three Sticks Wines. What an interesting path to winemaking! We’re excited for Ryan and excited to see what he’ll continue to do at Three Sticks and perhaps beyond. Each week, as our regular readers know, we pose a series of questions to a winemaker. This week, we are featuring Michel Fauconnet, the winemaker, or chef de cave, at the famed Champagne house, Laurent-Perrier. 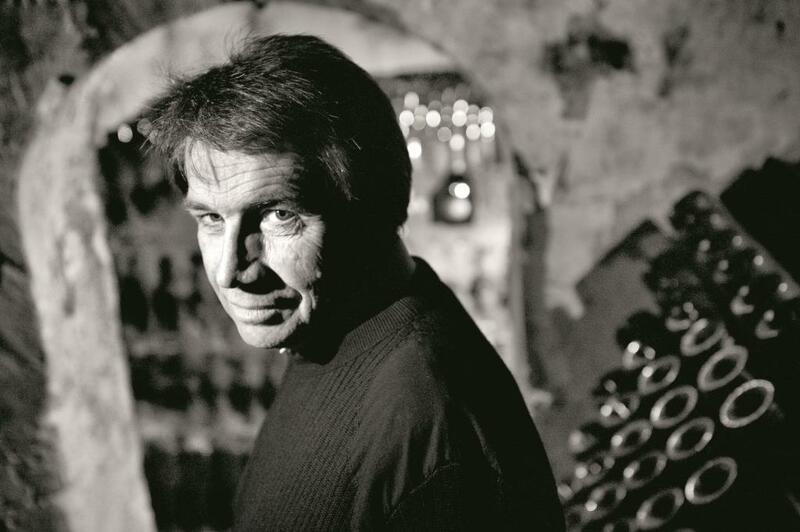 Michel Fauconnet began his winemaking career right where he is now — at Laurent-Perrier – and he has always worked there. He began as a trainee in 1973. Throughout the years, he steadily rose through the ranks and became the winemaker, the chef de cave, in 2004. The story of Laurent-Perrier, of course, far precedes Michel’s time. Founded in 1812 by André Michel Pierlot, the estate changed hands several times, before Bernard de Nonancourt opened the new era of Laurent-Perrier after World War II.